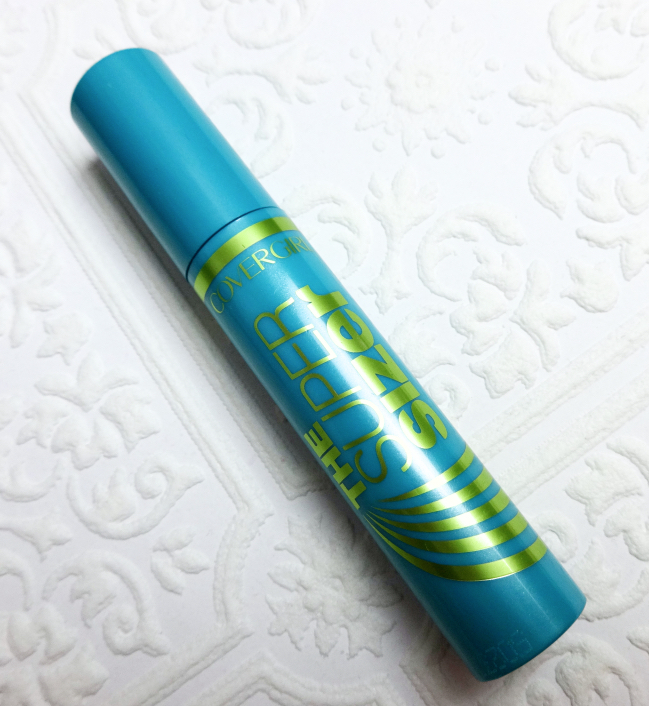 Like all mascaras from the LashBlast, The Super Sizer Mascara comes in a big fat tube. No frills. Just a big round barrel like tube. So I couldn't help laughing a little to see this skinny teethed brush. It is slightly angled and the teeth are spaced carefully to minimize the clumping. 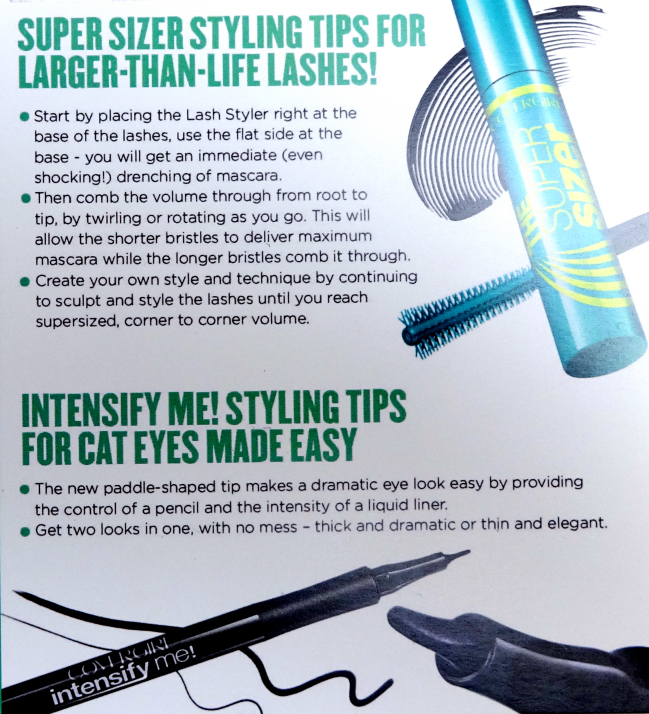 At first I thought it looked more of a lengthening mascara but it IS a volumizing one, alright. The 400% claim seems too much, but it quickly graces my lashes with a nice volume only after a few strokes. The intense black color is a plus, too. But, the selling point for me? It does NOT uncurl my curled lashes!!! This is so big. I'd buy this again just for that reason. intensify me! 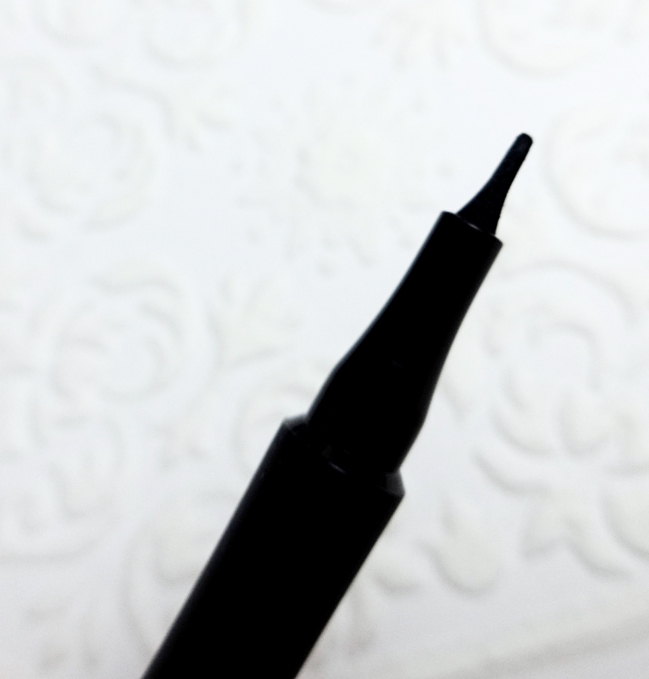 Liquid Eyeliner is a sharpie kind. What's unique about it is that it comes with a paddle-shaped tip that can create both thin & thick lines easily. Styling tips on a card was included, but it is pretty much a no-brainer. This duo works great when I feel like a minimal yet defined look. Have you spotted them, yet? Nothing keeps my curls intact if I don't use a waterproof mascara! This mascara still isn't the best compared to others, but hands down the best for a regular formulation. 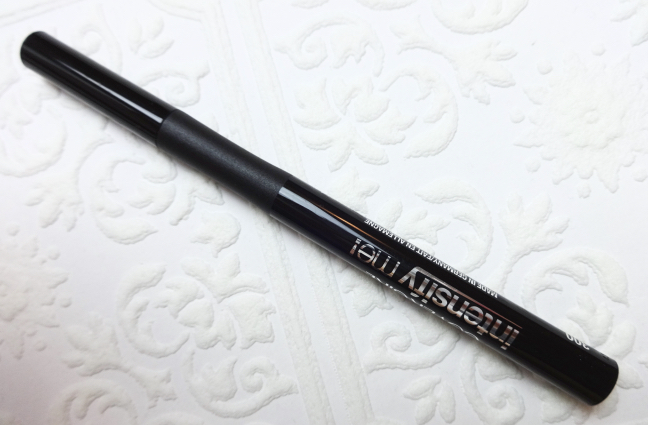 I think the mascara looks great and if they release it in a waterproof version I will definitely give it a try.As far as the eyeliner, my favorite one is a liquid liner from Kat Von D that allows you to create super thin and precise lines so I am going to stick to that one! I feel so limited in my mascara options since I pretty much have to have a tubing/fiber one, LOL. I want a volumizing one...at least, I think I do. But lately I've tried some that are more lengthening or curling and that ends up looking pretty nice, too, so now I don't even know what I want! From what I've seen, you have beautiful lashes! 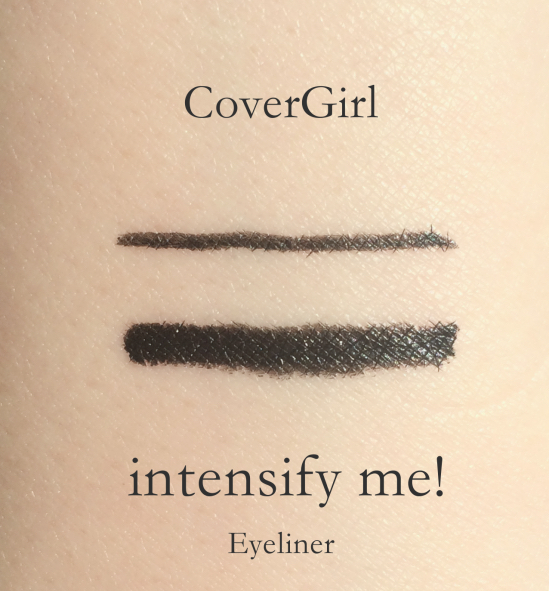 Actually the Classic one from CoverGirl (Professional Washable waterproof or something in a plain purple tube) is a tubing mascara and it isn't bad at all. You might be bothered by the smell, though. I haven't tried anything from covergirl but I've heard that they are basically the same like Max factor in some countries, Max Factor mascaras are great though! Both of these products look really great. I haven't seen the eye liner where I live, but I will keep an eye out for it. A liquid liner like that is preferable for me! I don't have a steady hand at all. After a series of higher-end mascara disappointments, I am resolute to stick with drugstore mascaras from now on. I still love the original Voluminous WP as my go-to daily mascara, but I'm happy to introduce this new mascara in my routine. It is way more volumizing. We don't get Cover Girl here, which is such a shame. I remember them being here when I was in college though. Wonder why they pulled out. Otherwise, I'd probably be all over that mascara! Max Factor was here ages ago, then came back some time last year I think? But they didn't last a year!! I see more Japanese and Korean brands surfacing though. Oh, then I have to blame their ugly packaging and pinky base makeup! Shame because they are good quality especially in the price range. 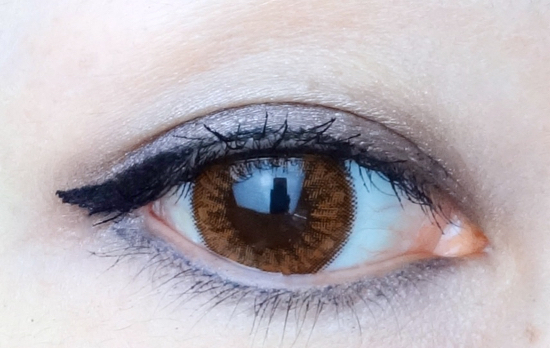 Interesting shape on the thicker end of that liner! I wonder if it'll be easier for me to make a wing with it. 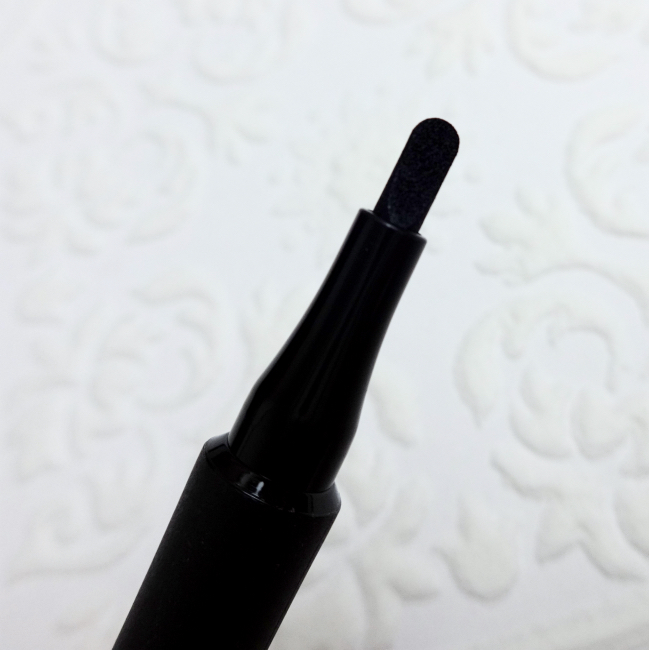 Right now I'm using the KVD tattoo liner and the felt end is super helpful. Oooh, I gotta start using the KVD liner. I was gifted with a mini! 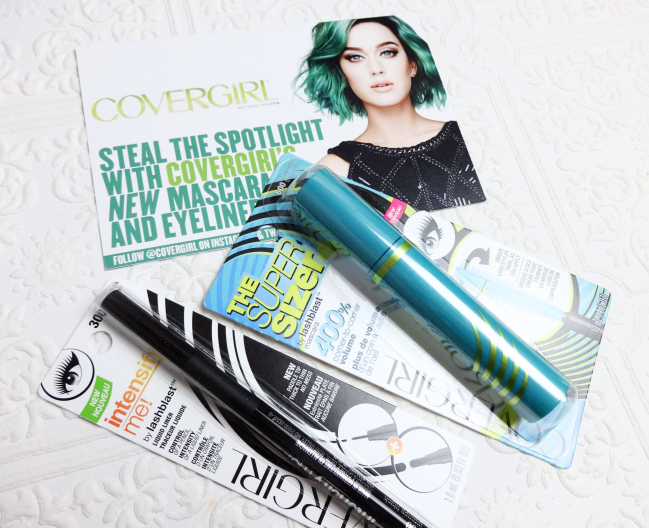 I haven't gone near CoverGirl in forever but now I want to try this mascara. I really really want to find a drugstore mascara solution. I thought I found one in Revlon but the second tube I repurchased wasn't as good as the first for whatever reason. Back to square one. Do you have Max Factor up there? I personally think CoverGirl mascaras are nice thanks to the fact P & G also owns MF. NICE! I like Covergirl mascaras, so this makes me happy! And the eyeliner looks great too! 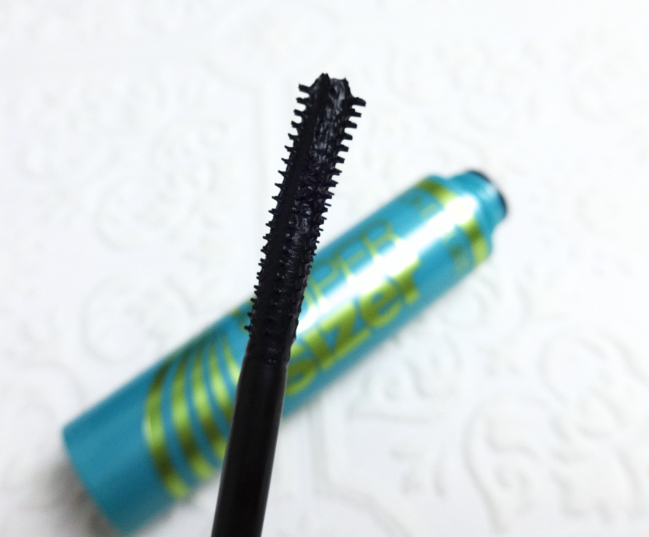 This mascara does great things for your lashes! Any mascara that doesn't uncurl the curl is a keeper!